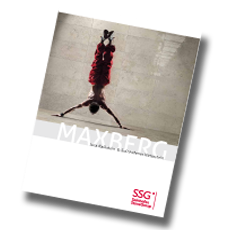 Floor and wall coverings with SOLNHOFENER Natural Stone, MAXBERG® Jura Limestone and SOLKER® fascinate with their natural aesthetic look and feel – pure natural design par excellence. These stones are suitable both for the home and office: from the vestibule to the living room, from the kitchen to the bathroom. They are extremely durable and economical as well as environmentally friendly and timelessly beautiful. Many different formats and surfaces are possible. With the unique stoneware from SOLKER® giant sizes are also possible. Windowsills made from MAXBERG® Jura Limestone are classic windowsills in Germany and beyond. Simply ask us, we are happy to assist you.